ESRC Society Today is a project combining information from the ESRC Awards and Outputs Database (the “old” Regard website), and a variety of other data sources/sites. The aim of this site is to provide a freely available picture of ESRC researches on particular social science key subjects as well as to act as a gateway to other online resources. ESRC includes links to other important gateways for social sciences like SOSIG, UK Data Archive, ESDS, CRDS, Copac, etc. 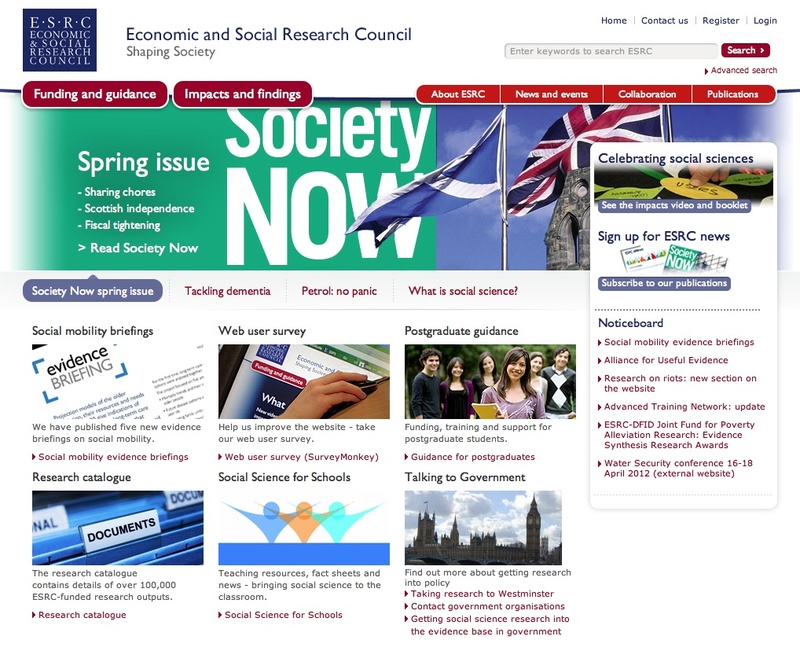 As for the ESRC Society Today own database, users have access to research findings, full-text documents and data sets, can look for researchers in particular fields and participate to online discussions. In particular, this website provides research projects, called Award records (containing details of researchers, institutions, award period and research abstracts), and several research reports contained in the section “In plain English” and including summaries and full-text reports available for viewing and downloading, as well as links to a directory with info on individual researchers and their websites. The site also holds fact sheets giving brief overviews on some social science topics in html format along with sources, retrievable slides, etc. The new ERSC website is difficult to navigate and material and information retrieval is not easy.